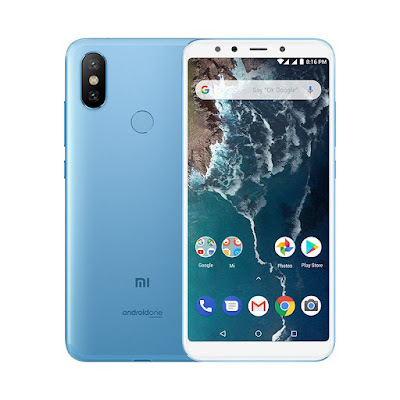 Xiaomi Mi A2 features a metal body and has Designed similar to Xiaomi Redmi Note 5 Pro. It has a 5.99-inch (2160×1080 pixels) Full HD+ display which is protected by 2.5D Corning Gorilla Glass 5 protection powered by Octa Core Snapdragon 660 Processor. Xiaomi Mi A2 Does not come with 3.5m Audio Jack and Hybrid SIM slot.Connectivity options include Dual 4G VoLTE, Wi-Fi 802.11 ac (2.4GHz / 5GHz), Bluetooth 5 , GPS + GLONASS, USB Type-C. Mi A2 is Packed with a 3010mAh Battery with Quick Charge 4.0 Support but In Box It comes with 5V 2A Charger. It runs on Android 8.1 Oreo Stock Android. MiA2 will also come with Google Lens integration within the camera app. It will also be one of the first devices to get Android Pie later this year. Xiaomi Mi A2 comes in Black, Gold, Lake Blue and Rose Gold colors priced at Rs 16,999 for 4GB RAM and 64GB Storage, 6GB RAM, 128GB Storage will launch in India for Rs 19,999. It will be Amazon exclusive. You can Pre-order on Amazon and Mi.com on August 9 at 12PM, First Sale on August 15 at 12PM from Mi.Com, Amazon, Mi Home and offline Retail Stores.